High performance earmuff. 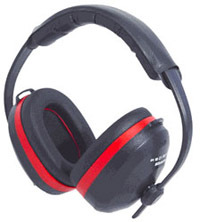 Offers excellent noise reduction rating of 29 with maximum comfort. 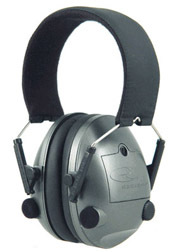 •A full-function electronic earmuff with an affordable price. •Automatically compresses harmful impulse and continuous noises to a safe hearing range below 85 dB while still allowing normal sounds to be heard without clipping or cutting. •Enhances low level sounds to allow better hearing. •Forward facing dual microphones provide accurate directional pinpointing of sounds. •Independent volume controls for each microphone. •Two easy-access external battery compartments hold 3 AAA batteries each for long lasting use (approximately 280 hours). Batteries are included. •Adjustable headband for comfortable fit. •Includes a set of replacement microphone covers. •Meets or exceeds ANSI S3.19-1974. •Folds Into A Compact Unit. •Weights just over 8 ounces. •Adjustable headband allows for optimum fit. •Soft, lightweight padding on headband offers added comfort. 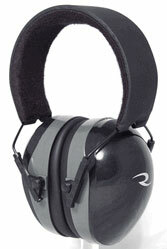 •Durable, padded ear cups, foam filled cushion gives comfortable fit when wearing safety glasses. •Padded headband allows easy adjustment to fit most head sizes comfortably. 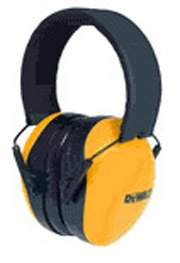 •Soft, foam padded earcups allows a comfortable fit even when wearing safety glasses. •Rugged construction provides durability in a wide range of environments.